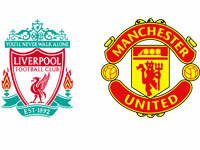 The most important match of Sunday between Manchester United and Liverpool will be telecasted at 1330 GMT from Old Trafford. Manchester United have shown many great performances in the FA Cup. Manchester United and Arsenal are the only teams who won the FA Cup title most of the times. Liverpool on the other hand has had a torrid time this season, lets see with new coach what comes in front oh us.